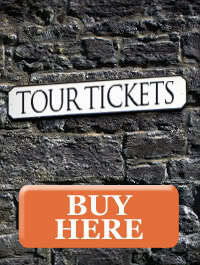 We are here to help you with any questions about the Edinburgh Literary Pub Tour. Please choose your prefered topic on the menu below. All tickets are non-refundable, except in case of a tour cancellation decided upon by the organizers. 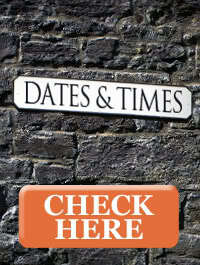 However, we will be able to transfer your tickets to another suitable date, subject to availability. Does the Tour run under rainy weather? There are no restrictions about weather on the tour. However, if the conditions prove to be extremely severe, the tour might be cancelled. Under the usual Scottish rainy weather, the tour runs normally. Please be sure to come prepared with a parka and/or an umbrella. Remember: we only cancel the tour it if the sky is falling! How can I send my feedback to you? We'll be waiting to hear your wise and lovely words! How can I buy tour Merchandise? We are currently updating our Merchandising options. In the meantime, you should consider Land Lines, our literary journey in words and images of Scotland. Is it possible to pick up snacks on the tour? All the pubs sell the usual crisps and nuts. If you feel like having supper before or after the tour, please check our Supper Packages. Does the ticket price include the cost of any drinks? Unfortunately not, otherwise we would have to charge you at least twice the price! Unfortunately not. Scottish lays are very strict regarding the presence of under-18's inside pubs and alcohol-related events and venues. Can I use the Edinburgh Card? Yes. Entry is free with the Edinburgh Pass card. Please present your card to the ticketing person so we can register your number. It's that simple! Aproximately two hours, from 7.30 to 9.30pm. At what time does the tour start? Tour starts at 7.30pm. We like to leave on time so please join us five minutes before, otherwise you might have to run to catch us!